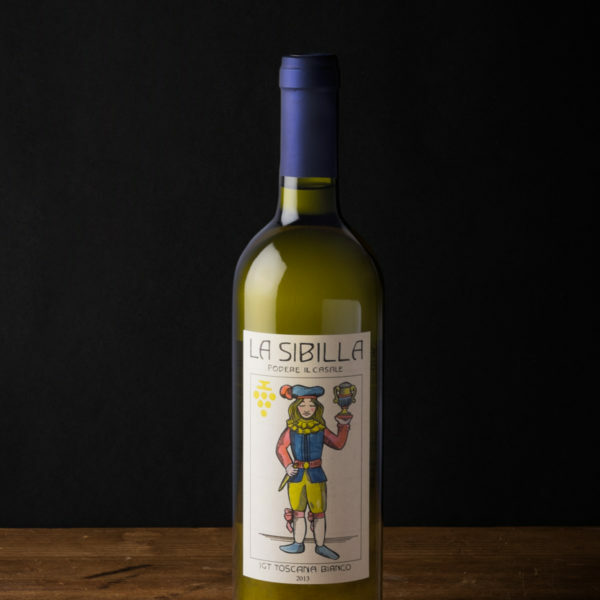 La Sibilla organic white wine - Podere il Casale, Tuscany. Organic Garden Restaurant, services, products. 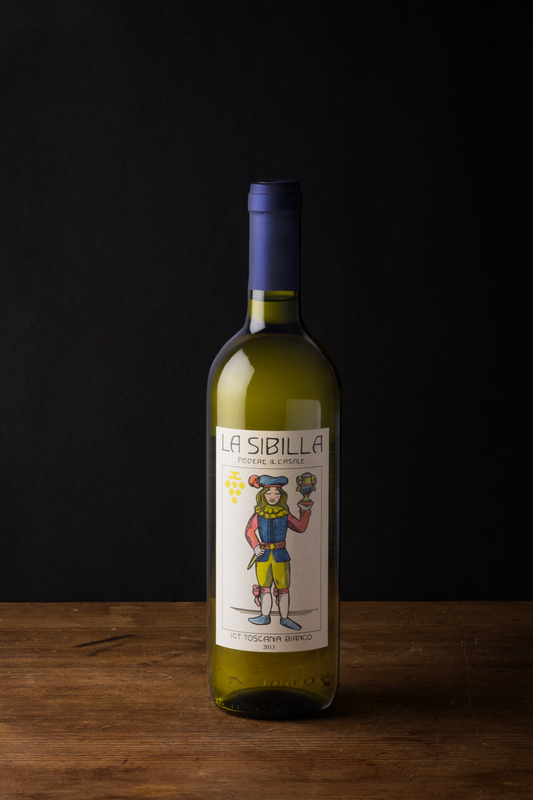 Our Sibilla white wine depicts another female figure holding a glass of wine in her hands to say ‘cheers’ to you. In fact, this wine almost invites you to share it in good company. Our Sibilla is a pleasurable wine, that is suitable for the simple kitchen of everyday life – a plate of young cheeses, pasta with fish or seafood, chicken or a salad with salmon. Yellow colour with golden reflections, notes of tropical fruits such as melon, passion fruit and guava. Fresh and very fruity on the palate.